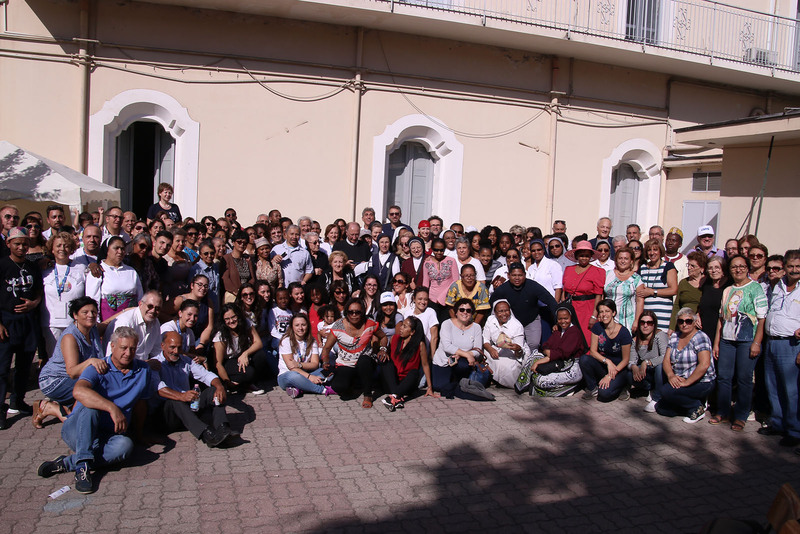 (Ciorani, Italy) The Secretariat of the Redemptorist Foreign Missions of the Neapolitan Province wanted to conclude the celebrations with the slogan “The joy of Doing Mission”: 50 years in Madagascar”, for the temporal and spiritual goal achieved in favor of the Mission in Madagascar on 29th and 30th of September. We wanted to create an extraordinary event to conclude such celebrations, but in the end, we decided to put our tireless collaborators at the center of every initiative. 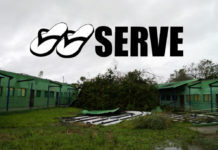 In fact, much of the merit we owe to them who, with exemplary passion dedicate time, prayer, affection and offers for the growth and development of the missio ad gentes (Decree on the Mission Activity of the Church). Two fundamental moments intersected making these fraternal and intense celebrations which the missionary groups and the collaborators were summoned at Ciorani, in our Motherhouse, on Saturday 29th for a discussion and planning in view of the immediate pastoral year and to rejoice together with our religious family, for the temporary profession of a brother. 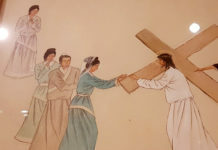 The “Doing Mission” is a family matter for which our lay missionaries must perceive this belonging, both in case of possible failures and for the successes and the realization of evangelization. The day after Sunday, September 30, the missionary groups and collaborators gathered themselves in Pagani around the tomb of our Founder. Those who support the children of our schools in Madagascar were also invited. In the morning session we did not recall the beginnings and the protagonists of the history of the foundation of the mission (already done much last year), but rather we emphasized the importance of Distance Scholar Support, that are useful for the human and social development of a group of People with gentle and polite traits. The testimony of Sr. Giacinta Panzera, a missionary in Madagascar and responsible for our dispensary in Alasora (the capital village), was emotional and moving, offering to the volunteers a realistic picture of poverty and attesting the usefulness of their monthly contribution to the children of our schools. Fr. Lorenzo Gasparro subsequently presented the structural projects in progress, rejoicing the numerous participants for the works that the Lord does, despite many difficulties. At the end of this first meeting, we went to the Basilica for the Eucharistic celebration. 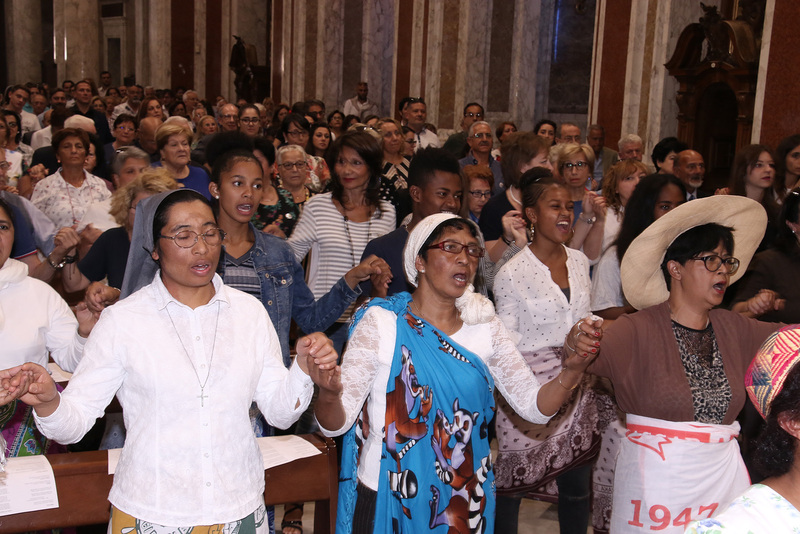 It was a joyful celebration with songs and colors and the typical presentation of the island people, that the Malagasy community living in Rome shared with the large assembly. Fr. 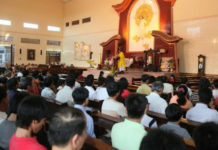 Provincial, Serafino Fiore presided over the mass. The celebration was engaging, and the dances and the Malagasy rhythms made us savor the beauty and spontaneity with which these people praised and celebrated the Eucharist. At the end of the celebration, the Secretary of the Foreign Missions, Fr. Alberto Ceneri, and Fr. 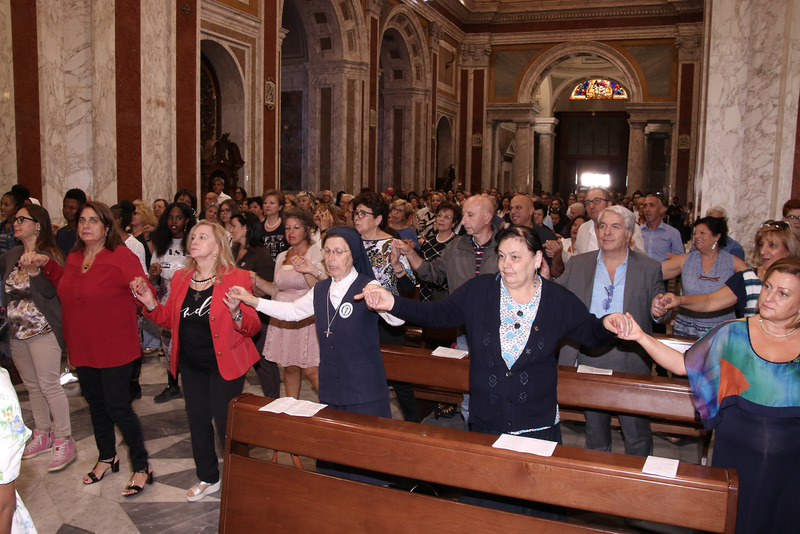 Provincial presented the volunteers, the missionary groups and to some lay collaborators of the “first hour”, a small gift as an expression of gratitude from the Redemptorists of the Neapolitan Province for the support of the mission in all these years. The jubilee event ended with dances and conviviality, in the ancient refectory of the religious community of Pagani. We thanked Fr. Luciano Panella, for the reception and for the excellent arrangements and shared buffet. 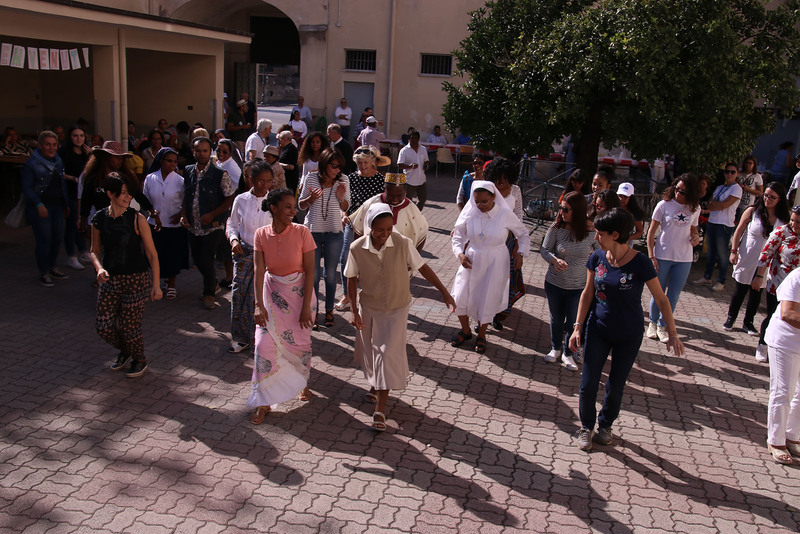 The collaboration with the group “Abbracci Malgasci”, volunteer missionaries of the parish of St. Alphonsus of Pagani, offered a magic touch to the organization of the event. I thank everyone and especially the responsible Rosario Pepe for the direction and the passion with which he collaborated with the Secretary of the Foreign Missions. 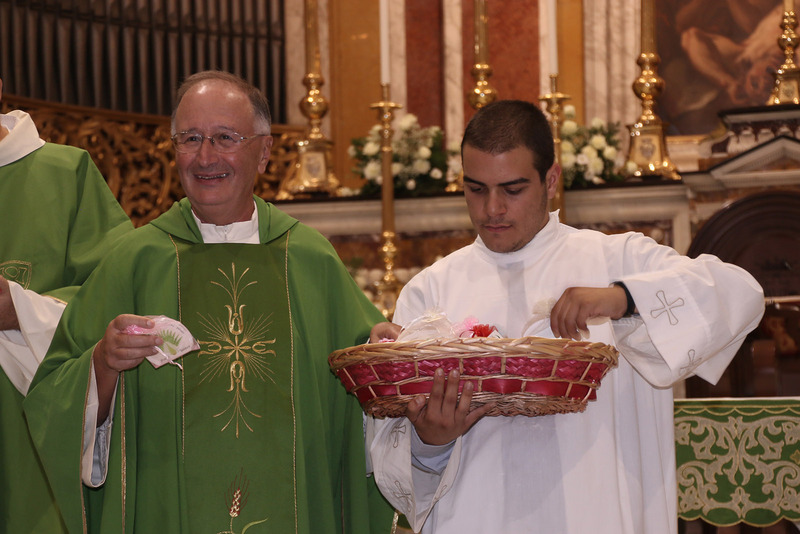 The synergy that has been generated between the Redemptorists and the volunteers has never been a formal fact or a simple organizational accounting but has matured from the same conviction and challenges that must be shared. Furthermore, the charity is not a value that has fallen into disuse, but we still believe in the man above the breakup of strong thought. We believe and therefore we continue to build bridges without limits and frontiers. The Redemptorist Missionaries, in praising the good Lord for the celebration of this Fiftieth year, are grateful to many sacrifices of the first missionaries in Madagascar, to those who have alternated in all these years and also to the tireless work of many volunteers to whom we owe our due thanks and prayer for their commendable collaboration.